The Canada Revenue Agency (CRA) offers motivated individuals a challenging, interesting, and diverse workplace that will help you develop skills and advance your career. If you are looking to gain valuable work experience in a federal organization, make the CRA your employer of choice..
Hi! I am currently a graduate student at SFU’s School of Criminology. I would like to share with you a bit about my work experience at the CRA. As a successful candidate of the Aboriginal Student Employment Program, I am pleased to have been hired by the Criminal Investigations Division in downtown Vancouver. My job involves providing assistance with criminal investigations of tax evasion and fraud and court cases; administering research and seizures, and attending criminal court proceedings. I am really enjoying my work experience—I get to put what I learned in graduate school in practice. I also represent the CRA on campus as a Student Ambassador. My role is to attract new talent to the CRA through peer-to-peer marketing and awareness campaigns of CRA career opportunities on campus. I really enjoy meeting fellow students at information sessions on campus and career fairs such as ‘What Can I Do in Government’. If you happen to see me in on campus, feel free to stop and ask me questions about the Aboriginal Student Employment Program. I’ll be happy to have a chat with you and answer your questions. If you are looking to ‘get started’ in a job with the Agency be very descriptive about your experience and skills on your application, do your on-line research about the CRA, and bring a positive and enthusiastic attitude to the interview. Good luck! The Canada Revenue Agency is committed to Employment Equity and Diversity. With flexible working arrangements, career development opportunities, a professional workplace environment, and continuous learning for all employees, CRA is the perfect fit for you! We celebrate diversity and the Aboriginal culture in the workplace in unique ways. We offer competitive salaries, flexible work arrangements and an excellent learning environment for students and post graduates in a variety of career streams including clerical and administrative positions. Rates of Pay for students can be found here: Treasury Board of Canada Secretariat. Opportunities may include positions in Taxpayer Services and Debt Management, Audit, Human Resources, Finance and Administration and Information Technology. Post-secondary education in specialized courses such as Financial Accounting, Business Administration, Human Resources, Social Sciences, Computer Science, Communications, and other fields are considered an asset. The Employment Equity & Diversity Committee provided this display and food to celebrate First Nations, Inuit and Metis culture for National Aboriginal Day2012 at the Vancouver Tax Services Office location for all employees to enjoy. Photos/items courtesy of Kale Campbell, Darlene Reber, Marjorie Stevens, Sasha Ponkey and other CRA employees. What types of student employment programs does CRA offer for Aboriginal students? The Aboriginal Student Employment Program (ASEP) was designed to introduce Aboriginal students at the post-secondary and high school levels to the three major business lines of the CRA: revenue generation, income redistribution and trade administration. A career in the CRA can be in a variety of professional streams, such as in the Audit, Appeals, Enforcement, Revenue Collections, Client Services, Information Technology, Human Resources, or Finance and Administration. The Program offers challenging employment opportunities that will help qualified candidates gain valuable experience to better prepare them for a future career with the CRA. The ASEP Program is open throughout the year to all qualifying Aboriginal students. 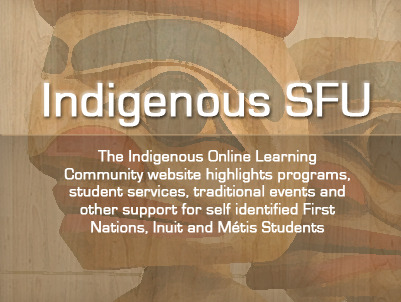 All Aboriginal student applicants must self-identify to be eligible for this Program. As defined in the Employment Equity Act, an Aboriginal person is a North American Indian or a member of a First Nation, a Métis or an Inuk. North American Indians or members of a First Nation include status, treaty or registered Indians, as well as non-status and non-registered Indians. The Aboriginal Tax Officer Apprenticeship Program (ATOAP) aims to recruit, develop, and retain qualified Aboriginal college and university graduates, as well as those who are in their final year of a degree or diploma program. Apprentices receive the same competitive salaries and benefits as full-time employees. Various non-salary benefits, such as flexible work hours and reimbursement of tuition fees for successfully completed courses in support of the employee’s career, may also be available. The 24-month ATOAP offers assignments in areas such as audit, taxpayer services, or debt management. On-the-job coaching and specialized training courses are provided during each assignment. All job notices are posted on the CRA’s website. Learn more about the CRA by browsing through the related links. You'll learn more about the business we do, the services we provide, and our corporate mission, vision, and values.